Foreword of the author Marc Zeller: This article is about cryptocurrencies through the focus of the Quantity Theory of Money and potential mid-term and long-term effects in this environment only. The purpose is not financial advice. Doing your own research about investment risks are strongly recommended. ● M is the money supply: in Bitcoin, M is equivalent to 21 millions of bitcoins (BTC). 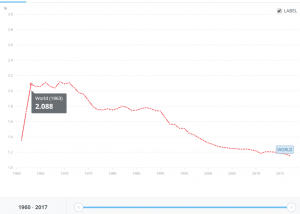 ● V is the velocity of money: this is the number of units traded during a defined period of time in the context of economic exchanges. In the absence of an accurate source, we will consider that V decreases in each case. P is the price of the goods and services in the same monetary unit. If P decreases, it indicates a gain in purchasing power. For example, in 2010 two pizzas were worth 10,000 BTC. Today, these two pizzas are worth more or less 0.00297 BTC. A BTC allows purchasing more pizzas in 2018 than in 2010. P has therefore decreased in 2018 compared to 2010 but the “purchasing power” of a BTC has increased. 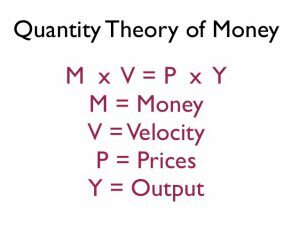 The monetarists used this easy-to-understand equation to justify that an increase of M (in FIAT currency) through money creation would necessarily increase P, leading to a decrease of the purchasing power (known as inflation). With cryptoassets, the conclusions can be different. We will see why. If currently 12.5 BTC are created with each block produced (it will be halved in 2020), the inflation of M is a known and open data. We consider that a predictable inflation rate can be considered as a constant. In total there will be 21 millions of BTCs. Currently, just over 17 millions of BTCs have been “created”. Since Bitcoin’s monetary creation rule is not modifiable without altering the Bitcoin project, we can predict the number of BTCs at any future date. If the quantity of bitcoin is constant, the available quantity of bitcoin decreases because of the loss of private keys, of manipulation errors, of the voluntary “destruction” of bitcoin being sent to addresses without any access. Every day bitcoins are forever “lost”, some sources estimate that 4 millions of bitcoins are already lost. Here is an interesting study about the geology of lost coins. To this figure can be added “tainted bitcoins” from hacks, trafficking or illegal activities refused by exchanges. If today, regulators don’t go in that direction, one can imagine a future where this type of action is generalized, making some bitcoins worthless in the classic economy. Last, the arrival of the Lightning Network (LN, the secondary network of Bitcoin, please read our articles on the subject) encourages to bet bitcoins in order to generate a passive income by collecting bitcoins from transaction fees. 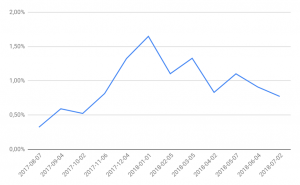 With the increase in fees on the Bitcoin network, it is likely that the majority of transactions will take place in the LN, thereby reducing the number of bitcoins “available” for purchase and sale. The only “intrinsic production” of the Bitcoin network is… bitcoin. We learned that this production is predictable and integrated by the economic agents. This production is attached to M and not to Y. Very few goods and services are available in BTC and almost none are exclusively available in bitcoin. Salaries, suppliers, products, miners’ electricity and investments are paid in FIAT money. Although M is decreasing, economic agents in the Bitcoin world will return to the FIAT world to acquire or produce goods and services. This leads to a constant pressure on sales and an offer must find a demand to maintain a price. We suppose that Y is exogenous to Bitcoin and is always related to the FIAT world. We observe that if M decreases, and if Y is not an indicator to be considered except to indicate a constant pressure on the sale, then the key indicators will be V and P having a direct influence on each other. We have defined that, if you apply the ”monetarist equivalence” MV = PY to Bitcoin, M has a tendency to decrease (or is at least stable) and Y changes independently to Bitcoin. The only direct result is to induce a Bitcoin sell-off against fiat currencies (Euros and Dollars). To answer this question, we have to look at V. All things being equal, P should follow the same trend. If Bitcoin is a currency, which is the vision supported by the Bitcoin early-adopters, we can expect that the number of digital units traded will increase over time with an increase in adoption. This scenario would be the realization of the ”digital cash” initial promise, a currency without a state, banks, and boundaries. This scenario will see the increase of the velocity, V. As a result, the other part of the equivalence have to follow the same trend. With P increasing. 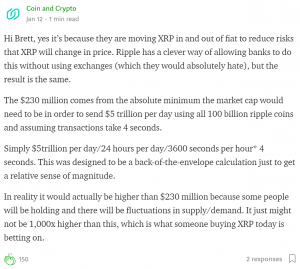 If this appears counter-intuitive to you, we recommend you to read the Ripple example. If Bitcoin is mainly a currency (cash), under the monetarist approach it is not the most favorable scenario for its valuation as an asset. A Store of Value (SoV) defines an asset which has the ability to keep its value and its purchasing power over time. The most common ones are real estate and gold. 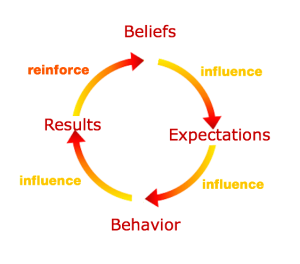 Each store of value needs a consensus to be guaranteed, within a self-fulfilling prophecy. If economic actors have a tendency to buy and hold, the number of Bitcoins available to buy decreases (weaken supply) as well as the asset velocity, considering a constant demand. So, the ”monetarist equivalence” shows that P decreases because M and V decrease as well, allowing Bitcoin to attract more purchasing power (the bitcoin value is up and you need less Bitcoin to buy the same quantity of pizzas). As far as this consensus works, it is self-sustaining: the decrease of P creating a strong demand (trend is up) versus a weak supply for those who want to hold their Bitcoins, and by the fact that those who want to buy with fiat currencies can sell a smaller number of Bitcoins to get the same purchasing power. So the supply has been hit twice. The effect on P is doubly negative and the Bitcoin’s buying power increase in the overall monetary system. It is self-sustaining and becomes a self-fulfilling prophecy. So, being a cryptoasset is a more appropriate and favorable scenario for an ever-more valuable Bitcoin. 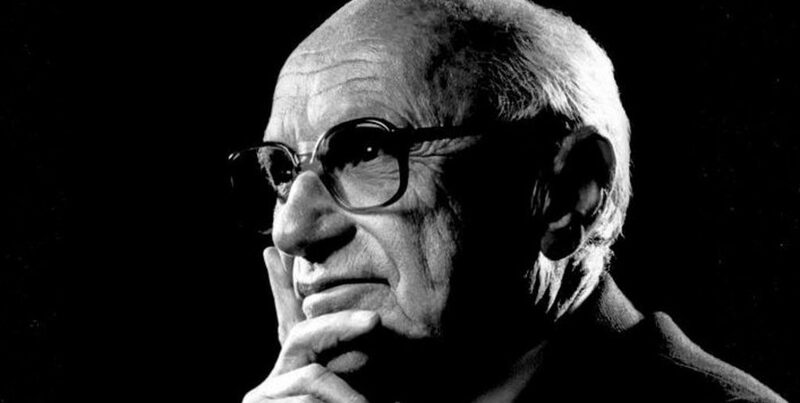 If a crypto is a currency, it is not a good store of value and vice versa. Indeed, Bitcoin is a good candidate to become a Store of Value as it’s not directly related to the production of goods or services and because only its secondary “layer” ( Lighting Network ) could make it evolve as a currency. Also, compared to gold, its production (an increase of the M as seen in our previous post) is totally predictable. It is also easy and fast to transfer (for a relatively low cost) and easier to secure. have the power to create worldwide acceptance, hence the importance of understanding how the former could benefit from taking part in this consensus. Collecting: accepting Bitcoin as a currency for taxes. Central banks are already using multiple Stores of Value such as gold (around 33,000 tons), other currencies (mainly USD) and even stock options and obligations to stabilize fiduciary currencies they represent. Bitcoin could easily find its place as a monetary stabilizer thanks to the ease with which it can be both transferred and audited. States make use of assets like real estate, gold, or stock options in similar ways. Some States benefit from interest rates lower than those of global inflation, sometimes even negative. This means that loans can represent opportunities. If a State borrows at a rate inferior to the inflation rate in order to invest in Bitcoin, and if the Bitcoin progresses faster than the loan rate, then the loan becomes profitable in fiduciary currencies. If the Bitcoin progresses even faster than the inflation, then the loan also becomes profitable in terms of “purchasing power”. As an example: France borrows $1M over 10 years and invests it in Bitcoin, with an interest rate of 3.2% of the amount borrowed (nominal rate at 0,628% per year). If Bitcoin progresses by more than 3.2% over ten years, the State can repay its loan in full and have Bitcoins left over. Remaining Bitcoins will then be added to the State’s financial assets. Bitcoin is also an opportunity for banks (as in commercial banks where individuals and companies hold accounts). Commercial banks have the power to create monetary value via the use of credit within certain limits (the McDonough ratio) . Central bank permitting, Bitcoin could constitute a part of their reserve requirements. If the Bitcoin progresses faster than the rate of inflation, the value of this reserve will grow, while also growing the credit issuance capacity of these banks. Conclusion: is Bitcoin already a financial asset? We’ve observed how a new class of financial asset, Bitcoin. Born from a desire to limit the power of States and Banks it can actually become their best ally. Its principal benefit includes its potential to become a Store of Value with a controlled rate of inflation and no need for a “trusted third party”. If these major actors acknowledge these benefits and use Bitcoin as a financial tool, they’ll become a major part of the consensus that will help make such benefits a reality (a self-fulfilling prophecy). They also won’t have to renounce traditional currencies in a virtuous couple fiat/ bitcoin. If this scenario were to occur, then Bitcoin is currently extremely undervalued. In any case, quantifying the risk of this scenario occurring and gathering stocks to potentially compensate it seems like the most prudent scenario for these major actors (to ensure that they don’t “overpay” for bitcoins by being late compared to other actors). A way to observe Bitcoin’s potential as a Store of Value is to compare the total capitalization of bitcoins ( $141B as of today) to M 2 (short-term available money supply) of the actual currency used as a global reference: the U SD ($14.2T). The observation of this raw result lacks meaning. But its evolution can give us an idea of how the Bitcoin “consensus” could evolve as a Store of Value in the not so distant future. To put things in context, the same ratio applied to gold is close to 50%. Gold is thus more “accepted” as a Store of Value than Bitcoin. 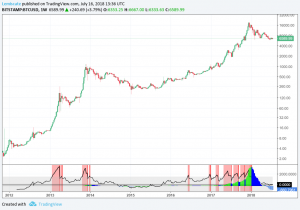 Even though Bitcoin is far from having proved itself on the economic level, its technical stability and high level of security have been largely demonstrated over the last 10 years. It includes characteristics of a high risk/high growth potential (as it is still impossible for individual investors to convert it into fiduciary currency without the help of a specialized institution). Recent indicators (like the uptick in interest from institutional actors for Bitcoin) point to an optimistic future, but there’s still a long way to go before Bitcoin becomes a major financial asset.